All our photographs of our faith street week is up in school and children have been stopping to look at our tube stop! As a school family, we are all taking a walk along 'Faith Street'. Each class will be learning about different faiths in our community! We have visitors in throughout the week to help us with our learning! Take a look at our week! Year 6 taking a look at Faith Street! We identified different communities living and working together and we could see our Christian and British values being lived out! Mr Michelson visited us to talk about Judaism! 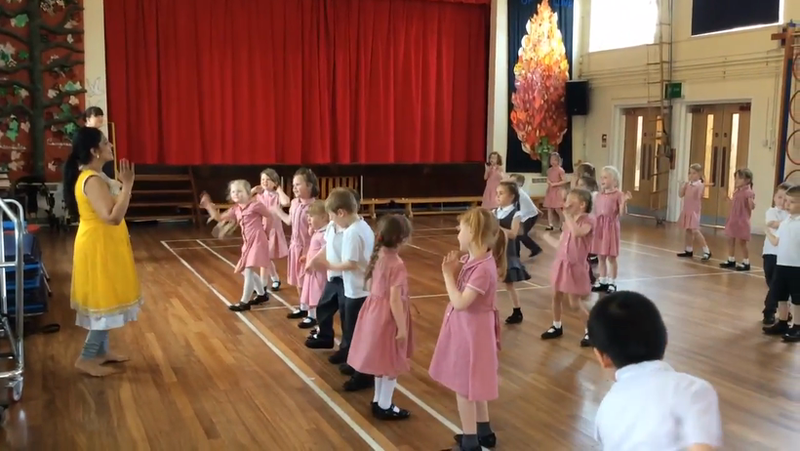 Class 3 enjoyed Hindu dancing. Class 3 explored religious dress. What's in the bag? 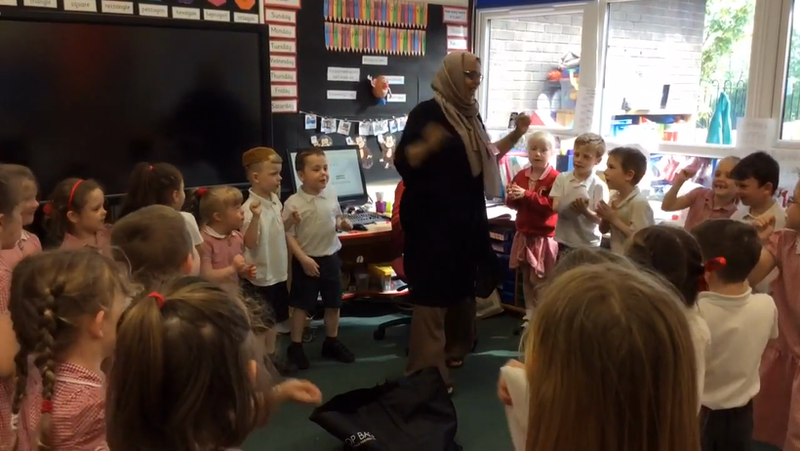 Class 3 identified objects connected to the Islamic faith when they had a visit from Mrs Majeed. Thank you Mr Khansaheb for sharing your religion with us. Mr Michelson gave Classes 3 and 6 an insight in to the life of a Jewish child. Even though we have different beliefs and may wear different clothes we are all the same and we love everyone.